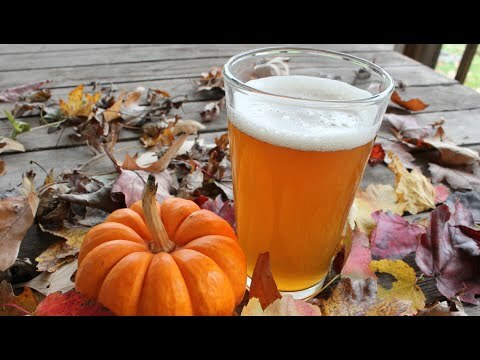 Yes, it's that time of year again - when it seems like half of the homebrewing population is debating the best way to brew a good pumpkin ale (often with little to no firsthand experience on the subject), while the other half is suggesting that the first step to enjoying a pumpkin ale is to pour it into the closest drain. And of course, craft beer outlets everywhere are inundated with pumpkin offerings of varying quality, which likely encourages the trend even more. Rather than take a side on that debate, the following article is presented as some tried and true suggestions to follow if you find yourself wanting to brew a pumpkin ale. After all, if you're going to do one of these beers, do yourself (and anyone you share the beer with) a favor, and make a good one! Note from homebrewdad: this article is directly taken from a post by /u/rrrx at reddit's homebrewing sub. While I have edited and applied formatting, I do not take any credit for the content. I have reprinted it here with permission. Interestingly, it seems that many brewers are adamantly opposed to using actual pumpkin flesh in their beers, feeling that doing so doesn't really offer anything to the beer and just makes a mess. Instead, they rely on their spice mix to invoke that signature pumpkin beer flavor. As an avowed advocate of using actual pumpkin in pumpkin ales, I have to say that the idea that actual pumpkin contributes nothing isn't true at all. Once I first brewed my pumpkin ale, I spent the next five years perfecting the recipe, and have brewed it every year for the past fifteen years. I notice a very significant difference between pumpkin ales with actual pumpkin and those without it; you just have to know how to treat the pumpkin right. 1. Always use pie pumpkins. I have found that a large majority of people who insist that using real pumpkin doesn't add anything to a pumpkin ale don't use the right pumpkins. Most varieties of pumpkins -- and particularly the standard jack-o'-lantern pumpkins that are everywhere in the fall -- have almost nothing in the way of any desirable flavor or sugars. Pie pumpkins, on the other hand, have been bred for culinary uses. They're sweet, and spicy, and a little nutty. They have more in common with butternut squash than they do with jack-o'-lantern pumpkins. If you can't get them, then there really is no point to using real pumpkin. 2. Use fresh pumpkin. This one isn't a concern for flavor, but it makes a huge difference logistically. Pumpkin puree is gloppy, gluey, sticky stuff. It's great if you're making a pie, but tossing it in your mash or your boil is a nightmare. You have to wait longer to start your beer if you're using whole pumpkins, but it's more than worth it in my mind. 3. If you want some 'gourdy' flavor in addition to the flavor of cooked pumpkin and pumpkin pie, start with pumpkin in your mash. Cube about a pound or two into roughly one inch sections, par-boil it, and toss it in at dough-in. Personally I don't use this method, but people who enjoy the raw pumpkin flavor should do so. 4. I prepare my pumpkin for the boil by cubing it (again, roughly in one inch sections) and baking it until it is well browned. Usually this takes about an hour at 375° F, tossing the pan every fifteen minutes or so for even caramelization. After it's browned, I toss it with a mix of brown sugar, a little bit of water, and some spices, and put it back into the oven for about ten minutes. It's almost like you're making caramel corn. After that, I toss the pumpkin into the kettle at the start of the boil and let it go for the full hour. Some people insist that this is a bad idea because it will give you cloudy beer -- and you should only use pumpkin in the mash to get the starches converted -- but I've never found this to be true. 6. Secondary. People do it all the time with fruits, but they never think to add pumpkin in secondary. I've only heard of a handful of other people doing this, but if you really want to see the benefits of using real pumpkin instead of just pumpkin pie spices, you need to do this. Take two to three pounds of finely cubed (roughly half inch pieces) pumpkin, caramelized as before in the oven, then candied with some molasses and maple syrup in a pan on the stove. Leave it in the fermentor for about a week, then transfer straight to the bottle or keg. 7. One more thing. Keep your IBUs down. I've seen pumpkin ale recipes stretching into the 30-40 IBUs range, which is way too high in my experience. My recipe sits at 13 IBUs, as I've found that when you go much over 15 or so, the hops start to clash with the spices. My personal pumpkin ale recipe follows below. The site's formatting means that you'll need to view the recipe page for full details on the spice blend, the mash temps, and the other recipe details. These are all good tips for using the real thing though....good article. You've worn me down, I'm planning on brewing an Elysian Dark O the Moon Clone. Would I be smart to use canned pumpkin or use fresh from the pumpkin? I'll be using 24oz total 8 in mash, 8 in boil, and 8 in secondary. I do like your notes and rationale. I started with a Maris Otter Brown ale and added two cans of roasted pumpkin at 15 min to go, a vanilla bean (split and emptied into the wort) at 8 minutes along with the pumpkin spices at the same time. It comes out with amazing balance, and tastes like a slice of pumpkin pie. I have made it every year for the past 4 years and it is our fall favorite here. You have me thinking about more tweaks next time I brew.